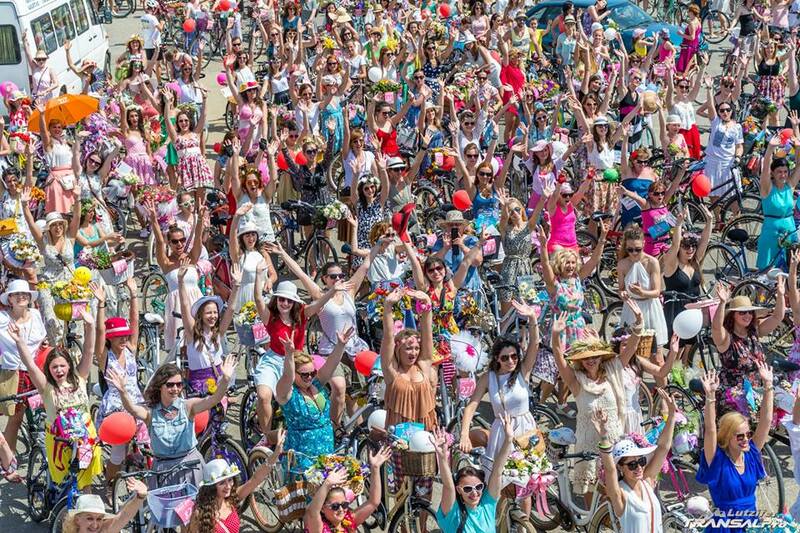 You can tell how bike-friendly a city is by the number of women on bikes. 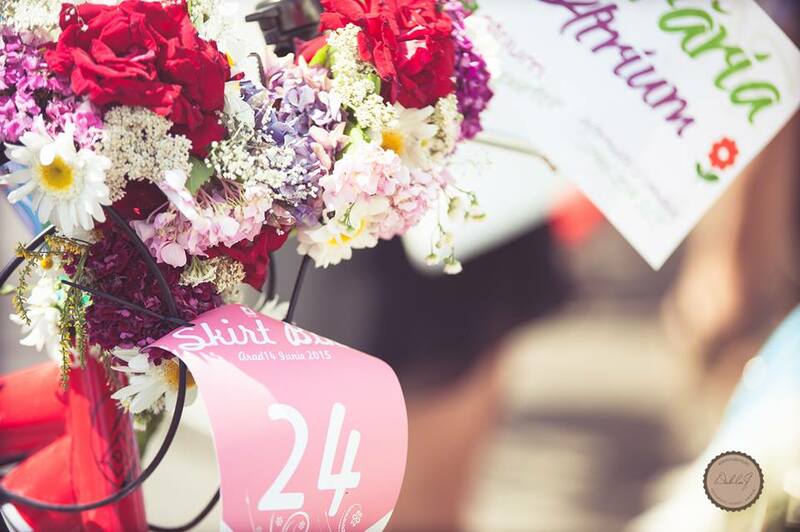 In a city where bike riding in general is not always a bliss, SkirtBike™ aims to celebrate the independence and empowerment that cycling can provide to all women and to encourage those who don’t already cycle. 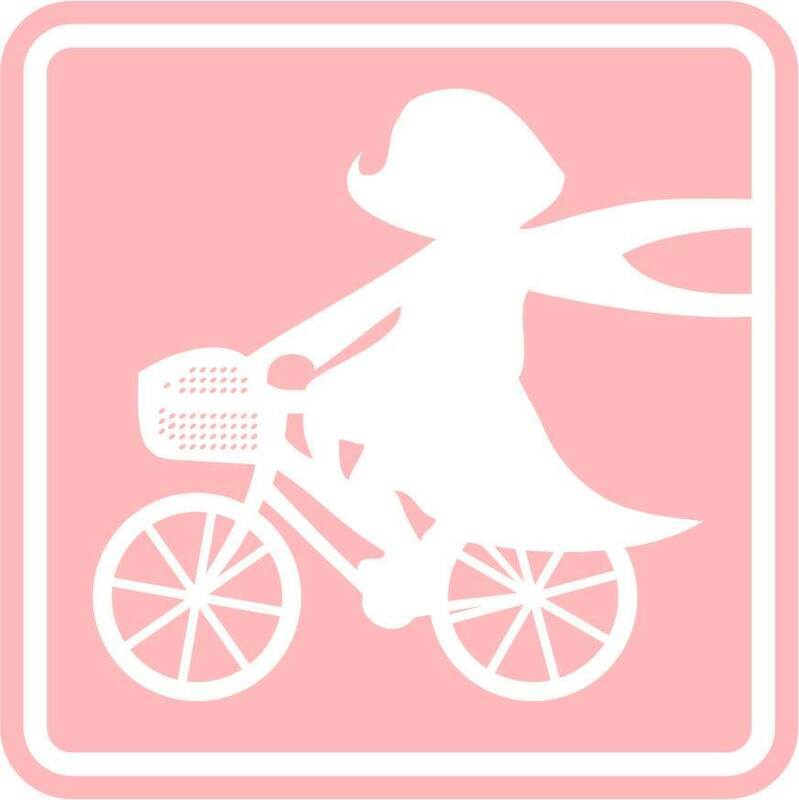 SkirtBike™ is a fun, colorful and friendly women bicycle ride, where the skirt or the dress is the proper outfit. 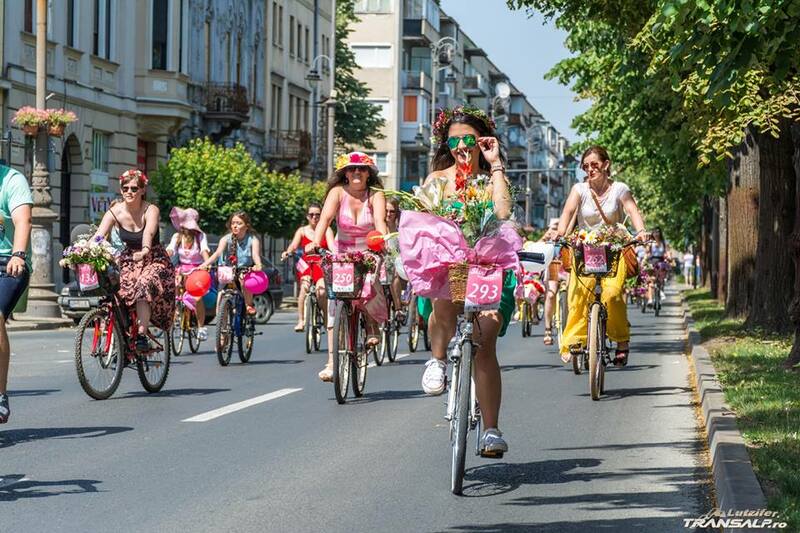 Inspired by the huge cycle chic wave that rapidly spreads from Copenhagen to New York and Tokyo, Bucharest started in 2010 the SkirtBike project as an advocacy blog that promotes urban cycling to women. 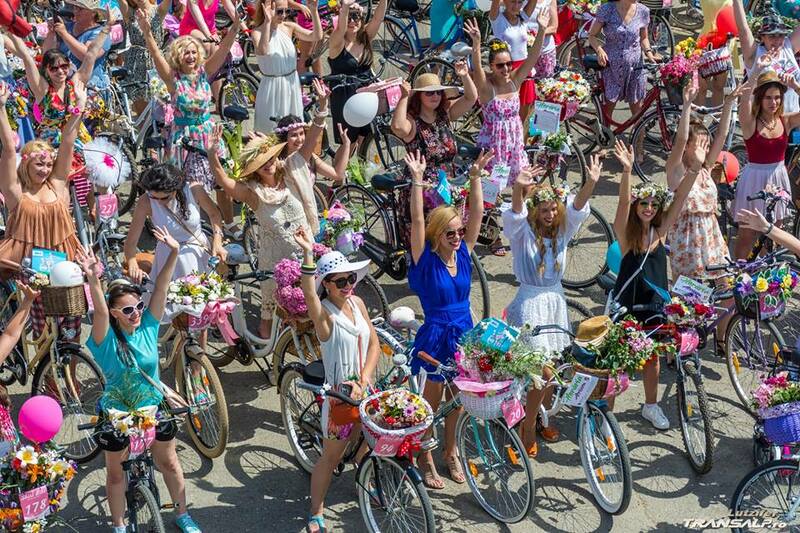 Twice a year we go offline for a stylish bicycle parade where the skirt and the bicycle are the dress code. 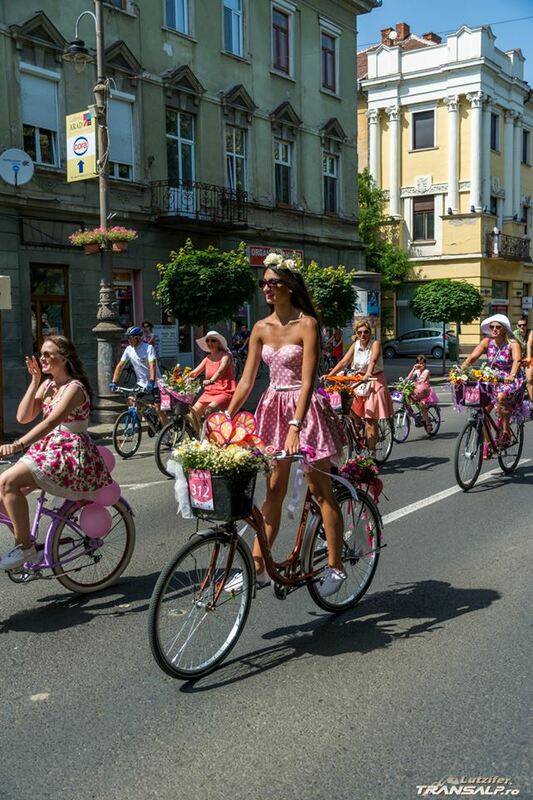 Since 2012, 7 other Romanian cities joined the skirtbike movement, making it a national event: Iași, Timișoara, Sibiu, Arad, Baia Mare, Drobeta Turnu Severin and Cluj. 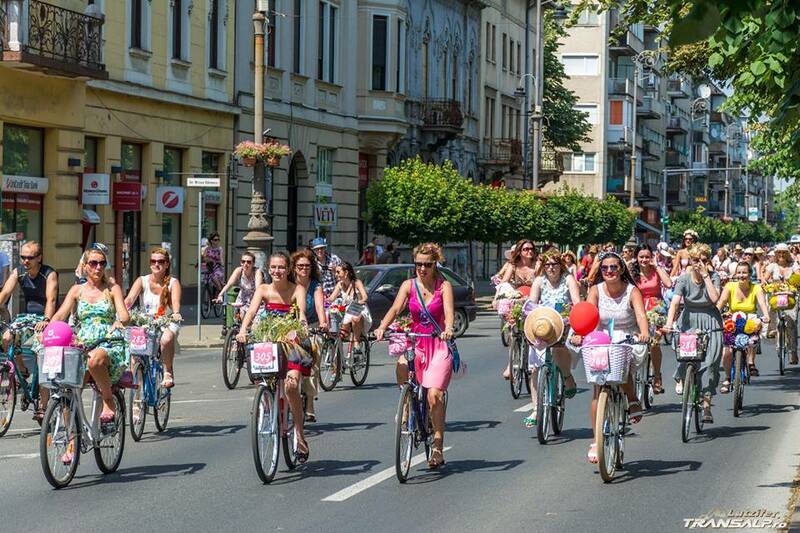 Insfarsit am reusit si eu sa particip in acest an la Skirtbike. 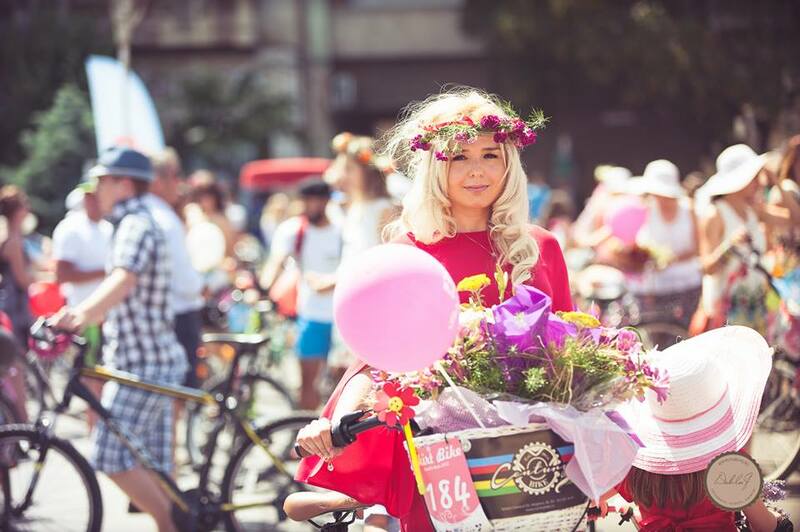 De doi ani tot incerc sa ajung dar de fiecare data a intervenit ceva. 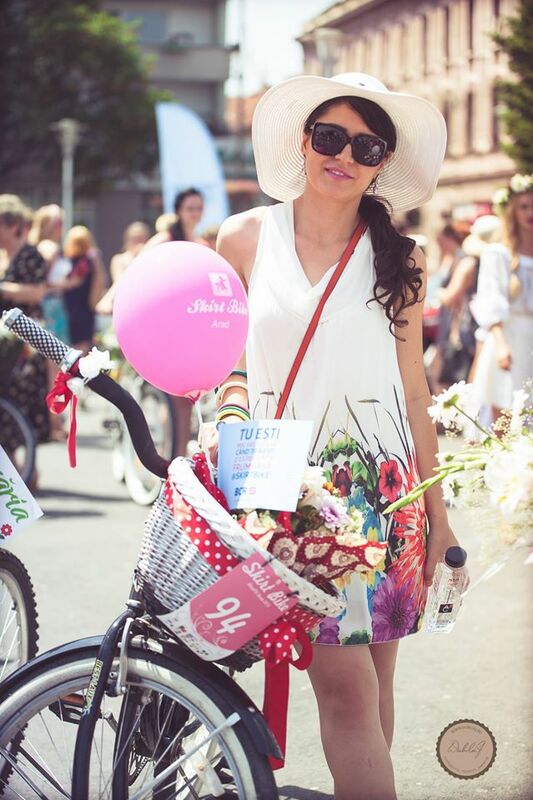 Skirtbike Arad 2015 a fost pe deplin o super expierienta, chiar si cu cele 36 de grade celsius. 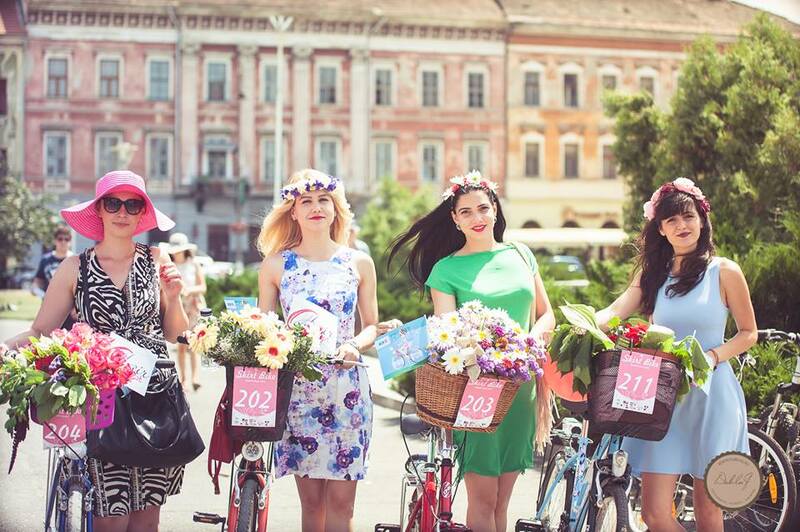 Intr-un numar mare de doamne si domnisoare frumose am defilat prin centrul Aradului, incercand sa promovam mersul chic si fashion pe bicicleta prin oras. 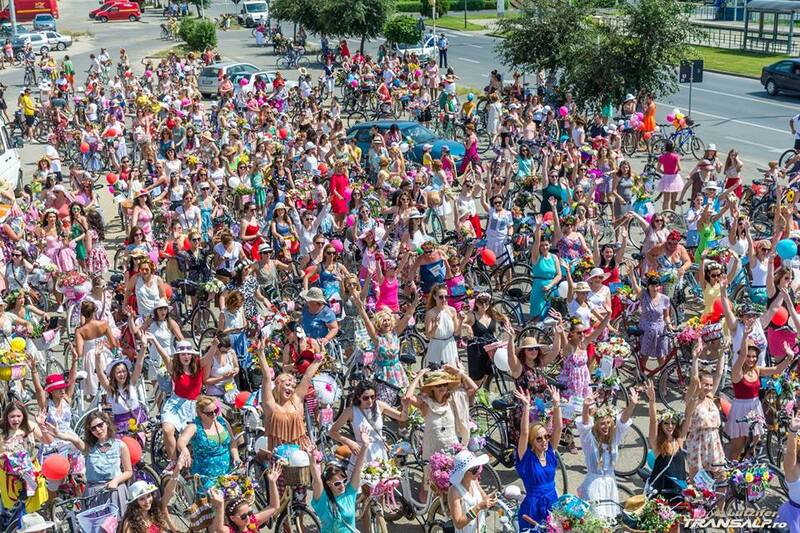 De ce sa nu facem putina miscare mergand la locul de munca cu bicicleta? 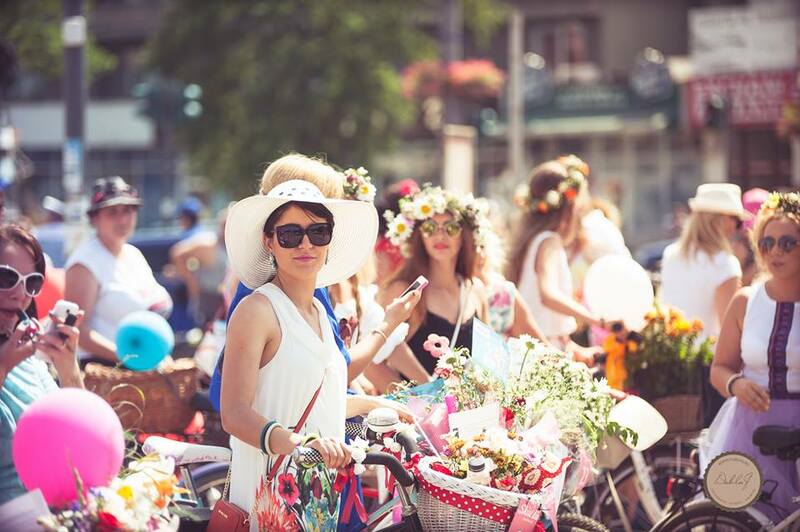 Nu este nici o rusine sa fim frumos imbracate si pe pedale. 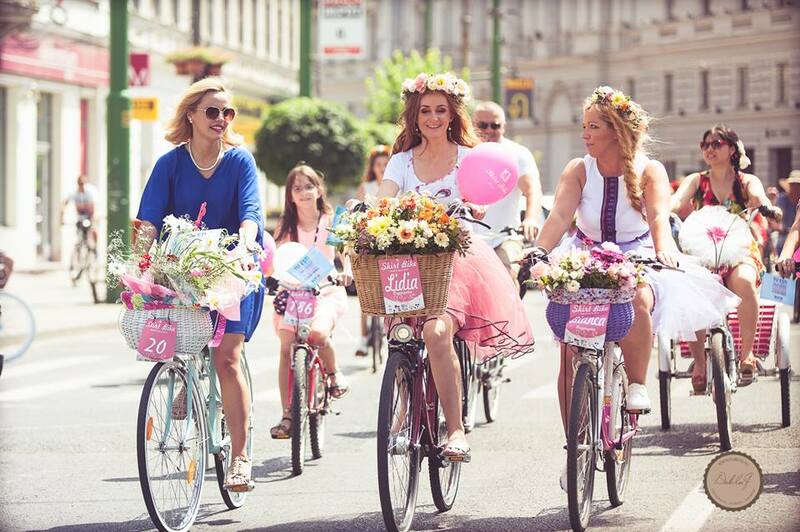 Ce ii drept se cam uita ciudat oamenii, ma refer strict in cazul meu…eu merg la lucru pe bicicleta cu rochie si tocuri si chiar am observat ca e o ciudatenie la noi sa nu fii in colanti si adidasi pe bicicleta….si cu aceasta ocazie Skirtbike incurajeaza acest lucru.